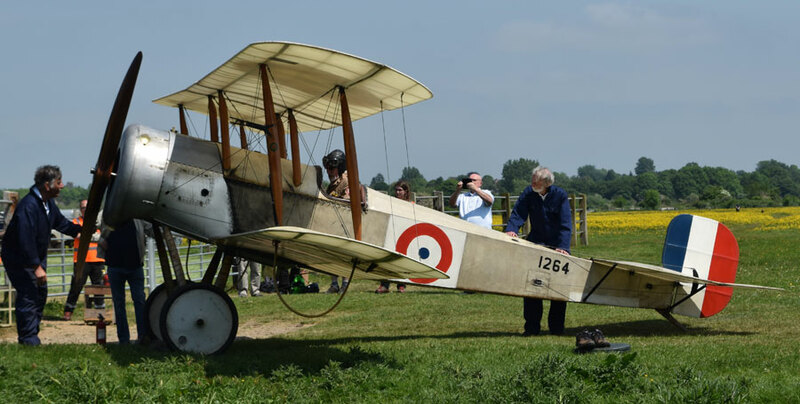 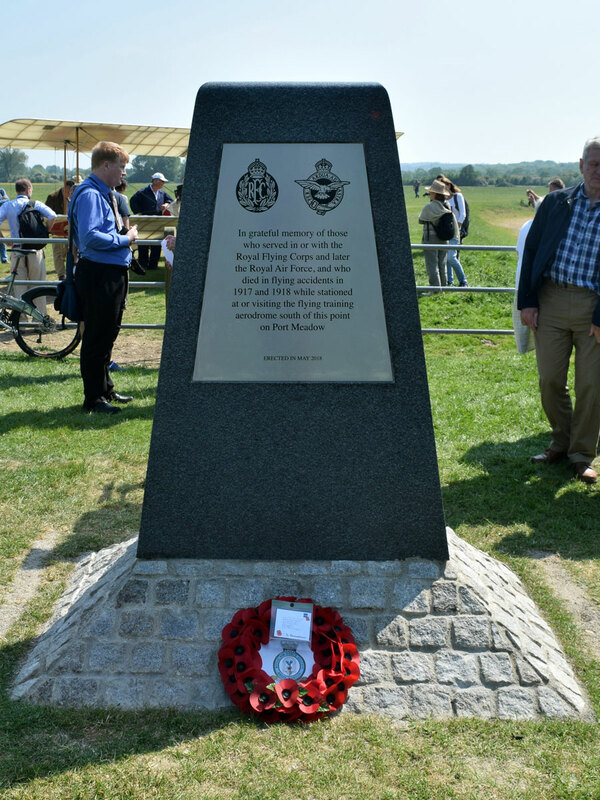 This memorial remembers the 17 airmen who died while training on Port Meadow flying aerodrome in the First World War. 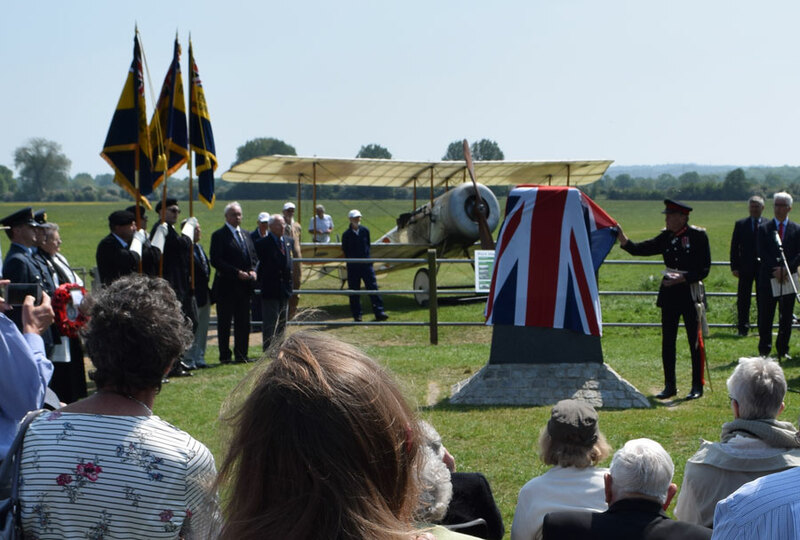 It is situated in the former bathing area near the carpark, and was unveiled on 23 May 2018 by Tim Stevenson, the Lord Lieutenant of Oxfordshire. 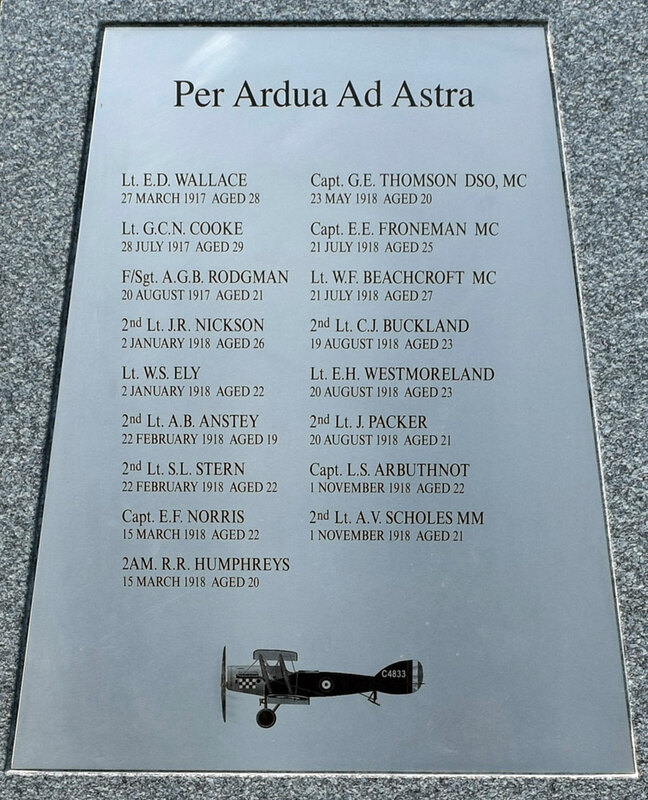 The plaque on the nearby Airmen's Bridge (which is not a war memorial and has no connection to the men remembered here) refers to two officers of the Royal Flying Corps who in 1912 crashed in their monoplane to the north of that bridge, which was renamed in their honour.